Embark on a quest to find the Triforce, defeat Ganon, and save Princess Zelda in this enduring epic adventure. 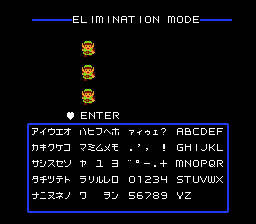 This is an English translation patch for Zelda no Densetsu: The Hyrule Fantasy. Make sure you use rom ver 1.1 when patching. When using FCEUX you will need to find and add the FDS bios to the correct folder. 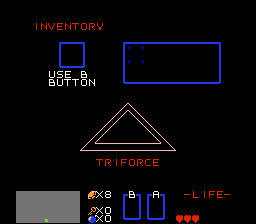 Once you get to the Title screen select the NES tab and select eject disk, then switch sides, then insert disk. Headered version of this rom is 3FBDDDCD. Recommend removing the header before patching this file. The readme doesn't say it has to be run on a headerless rom, but it does mention that it adds a header, which it does. Ran this patch on both versions and there are 126 different bytes randomly throughout the file. That can't be good. Delete the header in a Hex Editior if you can't find the headerless version. Bytes to delete are below. Jordiway73 Hacking Project Manager, Script, Misc. 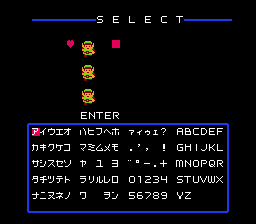 If you’re hellbent on playing Zelda 1 on FDS in English, this is the patch for you. If you think this is going to be some ultra-definitive-hands-down version of the game… maybe dial down that hype-o-meter. It’s 99.8% the exact same game, but with loading times. On a floppy disk. With barely better sound than the NES version. And by barely, I mean outside of a chime sound effect or two and a couple tracks. And by loading times, I mean like an almost minute-long wait at start up rather than damn near instant loading on NES. This is a drawback of the FDS version. Translation-wise: pretty much on par with the original, but with some things shortened or changed entirely because of space constraints. Some times it’s better, some times it’s about as cryptic as the NES version. 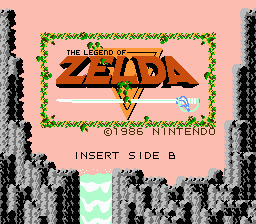 If you’re truly dying to play this one specific version of this one specific Zelda title, then go hog wild. Otherwise, just play the NES version. No amount of extra, microscopic bells and whistles that the FDS version has makes it any better in any significant way.